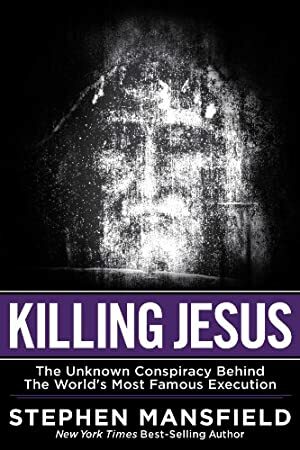 "The execution of Jesus was a crime born of the streets, the barracks, the enclaves of the privileged, and the smoke-filled back rooms of religious and political power brokers. Its meaning lives in these places still." Approaching the story at its most human level, Mansfield uses both secular sources and biblical accounts to bring fresh perspective to the human drama, political intrigue, and criminal network behind the killing of the world's most famous man. Track It. This book has been $3.24 within the past year. The price of this book has changed 49 times in the past 2,170 days. The current price of this book is $11.53 last checked one month ago. This lowest price this book has been offered at in the past 90 days is $10.34. This lowest price this book has been offered at in the past year is $3.24. The lowest price to date was $3.03 last reached on February 1, 2016. This book has been $3.03 12 times since we started tracking it. The highest price to date was $11.99 last reached on July 14, 2014. We last verified the price of this book about one month ago. At that time, the price was $11.53. This price is subject to change. The price displayed on the Amazon.com website at the time of purchase is the price you will pay for this book. Please confirm the price before making any purchases.